Street Fighter V: Street Fighter V game was unveiled at PlayStation Experience and it will more exclusive for PS4 as well as Windows. 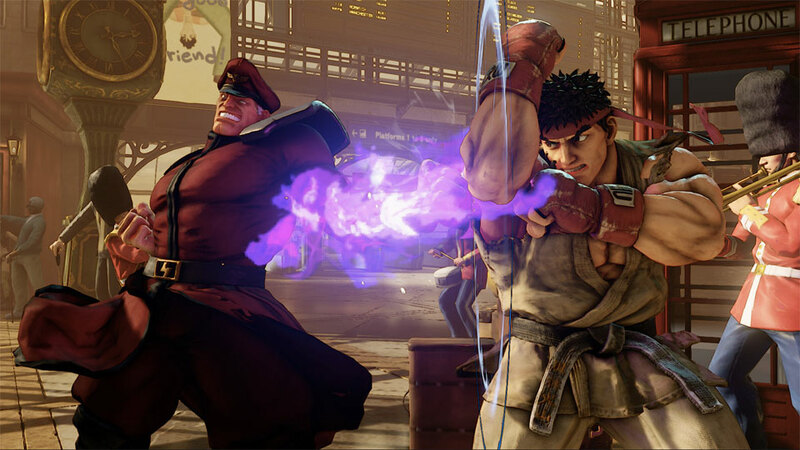 The street Fighter V is designed with some surprising features, familiar and characters. The graphics are powered by the Unreal four engines. In the gaming world, the new version of the gaming Street Fighter will always be a great deal. This game set different looks especially to become classic and to give instant features. UK is going to release very soon the Street Fighter beta details, game play, price and release date. Far Cry Primal: In the Far Cry Series, Far Cry Primal is the recent game and its offers totally different gaming features for fans. The first series of Far Cry 4 was launched on November 2014 on Xbox one, PlayStation 4 and PC. Most gamers are not happy with the first series; because Far Cry is confirmed for only Xbox one due to that Fry Cry series announced the latest version. The Far Cry Primal supports all the consoles and requires hardware to power the game. The Far Cry Primal is going to be released on February 23 for Xbox One & PS4. In addition, most of the gamers are waiting longer for the PC games, because it will release Far Cry Primal for PC on March 1, 2016. Deus Ex: The Deux EX is the fifth series and it has been running over 15 years. Like the earliest versions, people are expecting the Deux Ex. This is action video game and combining the stealth, shooter and playing elements. First, it was published for Microsoft Windows and personal computers but later it was ported to the PlayStation 2 and Mac OS systems. The people who are not familiar with the earliest version, Deux EX set will be available on different platforms in the future. You can play this game from a different perspective because it uses the Dawn Engine, and is based on the game Glacier 2. Game of Thrones: Seven Kingdoms: This is an upcoming fantasy multiplayer role-playing online game, currently under development and about to be released in 2016. The first series of the famous Game of Thrones: A Telltale Games Series ​ was released on December 2, 2014 for PC/Mac, PlayStation and this hysteria spread very fast. Right now Game of Thrones has a beer label and even a Game of Thrones graveyard. Marvel Games: The Marvel Universe is bigger than it has ever been and this year you the most expected games are those inspired from new Captain America and X-men films series. Scheduled for release this year, is the “Marvel: Future Light” game on iOS and Android. This is a single player game allowing players to control familiar characters such as Ant Man, Hulk and Captain America. There is no surprise that the characters are being used as themes for different games, including online slots games. That is right, now you can play slots with your favorite Marvel character as the main theme and sites like Slotsheaven have a dedicated Marvel online slots games section. For those passionate gamers it will be great if they will keep up with the trend and create new themed games inspired from new Marvel films announced this year.